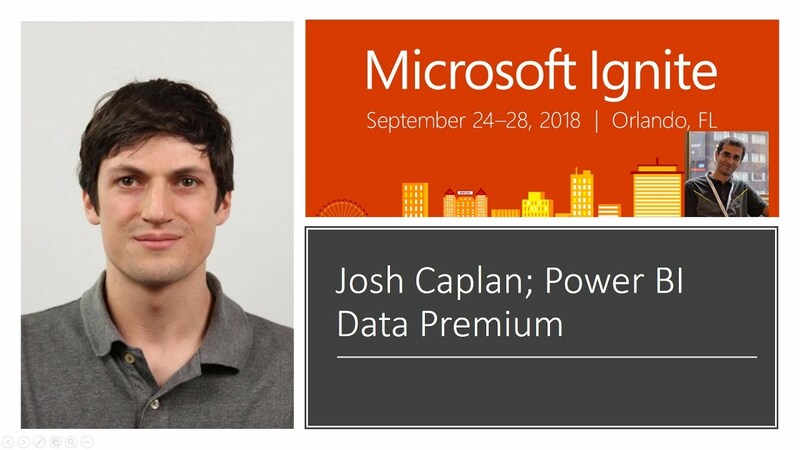 Power BI group program manager, Josh Caplan will start the webinar covering the latest enhancements around Power BI Premium such as the new monitoring app and Multi-Geo, a new feature that helps multinational organizations address their data residency requirements. If you aren't already familiar with Power BI Premium this enhancement to Power BI enables more consistent performance, support for large data volumes, and the flexibility of a unified self-service and enterprise BI platform for everyone in your organization. To kick off the session and to start the questions/conversations Josh will start with a demonstration of the all new the Premium Capacity Monitoring App; this app supports capacity in monitoring the health of premium capacities and making sound decisions about the best use of them and when to scale them so that your users get the best possible experience. As this session focused on Q&A don't forget to bring your questions and get ready for some interaction!